Our high-definition AKS Plasma Table has a precision tolerance down to .010". 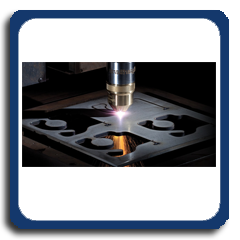 It offers near-laser cut quality and accuracy of our Mazak laser but with greater speed when laser cutting is not necessary or when cutting thicker materials. 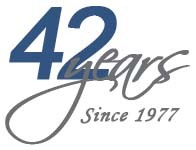 Our advanced software features also include True Hole and Bolt Hole Quality to increase accuracy and quality of holes cut with the plasma getting to near laser quality. 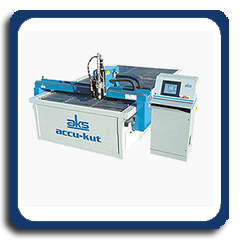 The AKS high-definition plasma is CNC controlled and can accomodate sheet sizes up to 5' x 10'.